Happy Summer Solstice. I think it is tomorrow. I have not updated in a while. VanCAF was ages ago! I had a really good show, possibly the best show I have ever had actually. The comic jam we had in association with the show went really well too. Lots of people came, many many pages were drawn. I updated my store, so now you can buy Fir Valley and the most recent Vinegar issues there. Since VanCAF I have been drawing, trying to figure out what I want to work on next. The past couple of weeks I was hanging out with Manien while she was on vacation. Relaxing on our lovely balcony, going for walks. On one particularly early walk we actually saw the beavers that live down by the Olympic Village. Oh, and we have been watching TWIN PEAKS. I can’t tell you how happy it has been making me. Such a joy to be back in that world, with old characters and new, mysteries and histories. 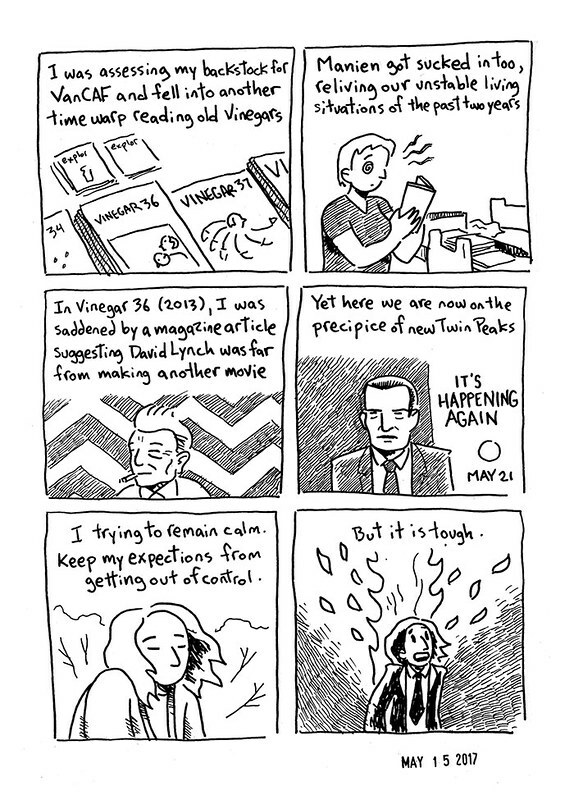 To have decadent hours and hours of new David Lynch. Even the novelty of having to wait for new episodes (I honestly could not tell you the last time I did that) is making me savour it all the more. Luckily Manien has been loving it too. 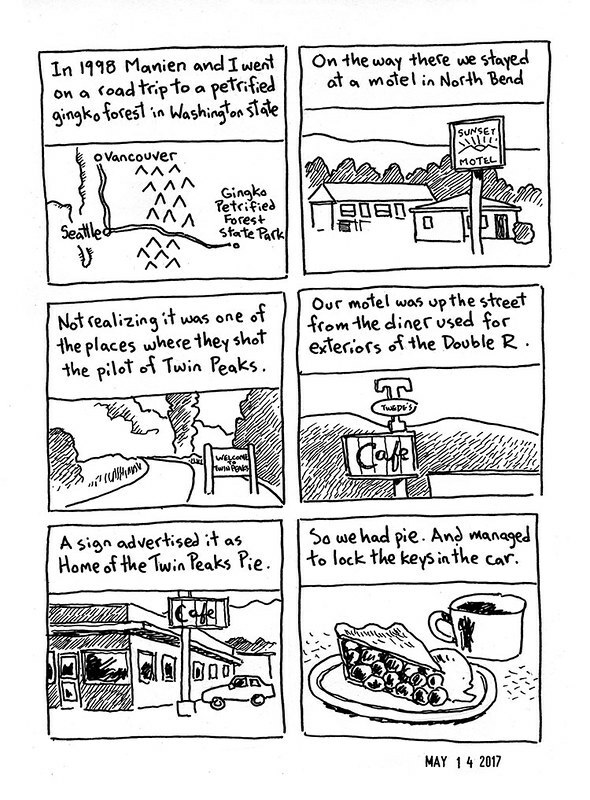 Why, here are a couple of comics from Vinegar 39, drawn before the new show was released, one about visiting Twin Peaks, one about anticipating the show. Manien and I went to the Island to visit her sister and family. I traditionally do a “Mission” with my niece and nephew, which is a fantasy adventure with a map and hazards and so on. This mission took place mostly in a witch’s cottage, with the heroes shrunk to mouse size. 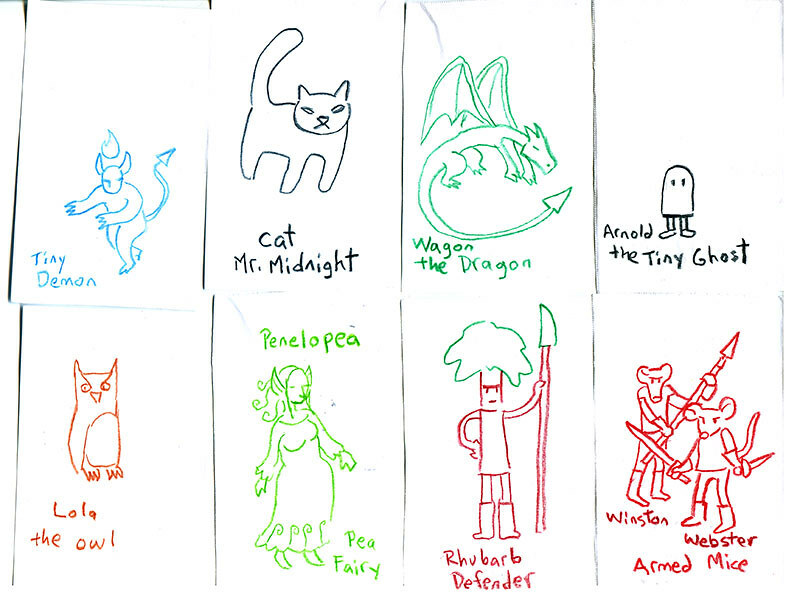 I had way too much fun naming the various creatures they encountered. 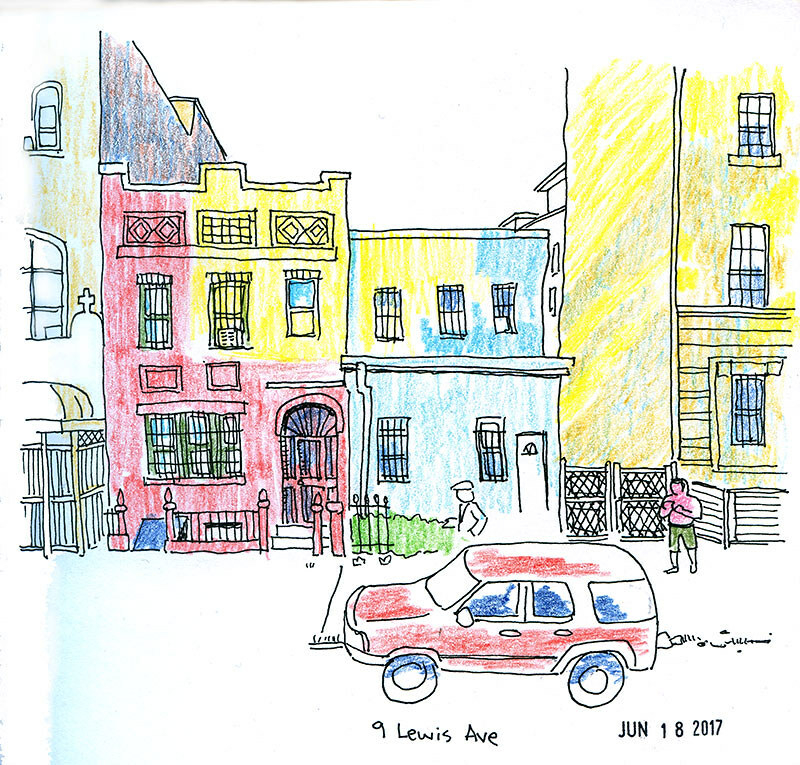 And here is the kind of thing I draw to relax while I listen to podcasts, from Google Street View.